Epic Games has announced that you can now hand over your V-Bucks to buy the Dino Guard Gear, Pterodactyl Glider and Rawr emote in Fortnite, letting you feel prehistoric in the free-to-play battle royale game. 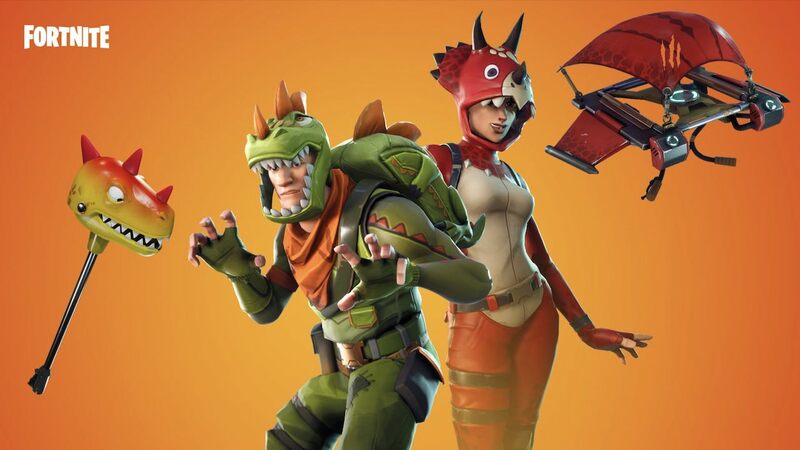 The Dino Guard Gear includes the Fossil Flyer glider (500 V-Bucks), Pterodactyl glider (1,200 V-Bucks), Tricera Ops outfit and Hatchling back bling (2,000 V-Bucks), Rex outfit and Scaly back bling (2,000 V-Bucks), and the Bitemark harvesting tool (1,200 V-Bucks). You will need to hand over 500 V-Bucks for the Rawr emote, which sees your player avatar doing their best Tyrannosaurus Rex impression. Fortnite was released on Nintendo Switch last week after the Nintendo Direct: E3 2018 presentation, and was downloaded more than two million times in under 24 hours. It has also become the first Nintendo Switch game to allow in-game voice chat without needing the Nintendo Switch Online app.